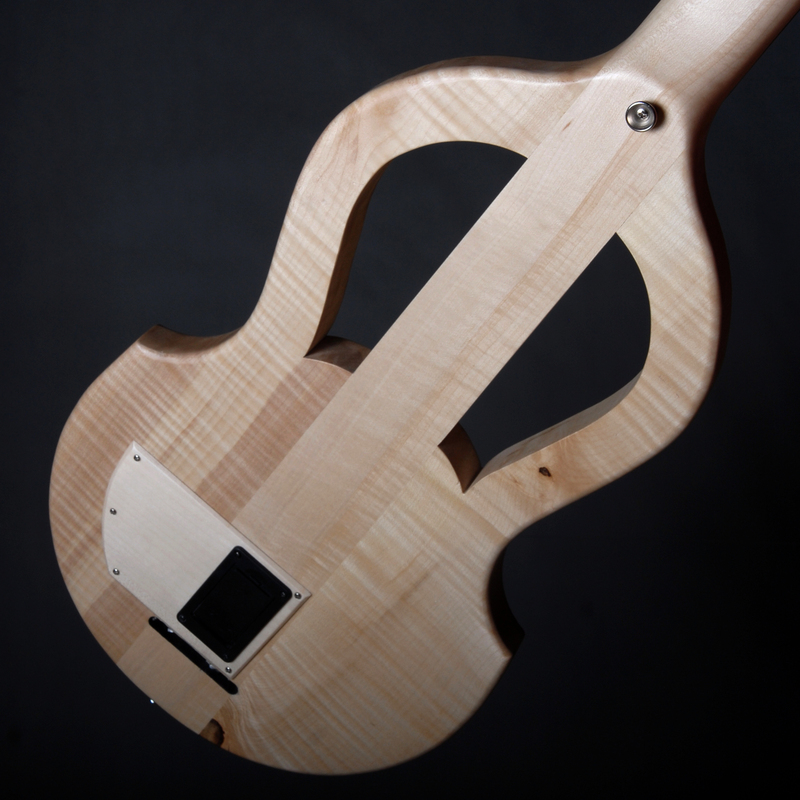 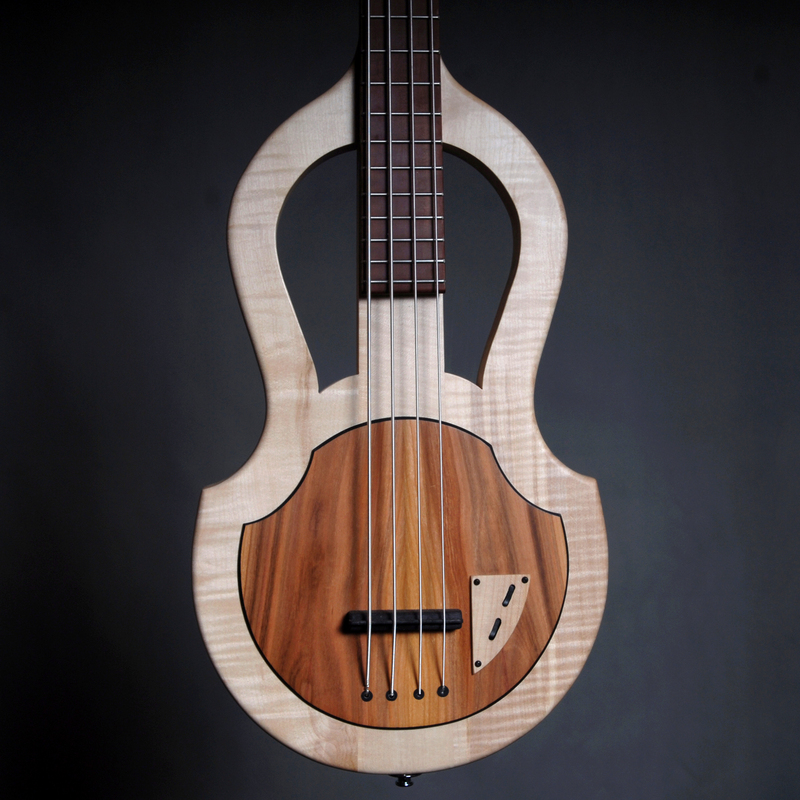 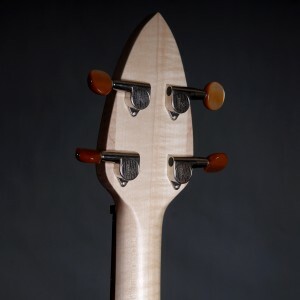 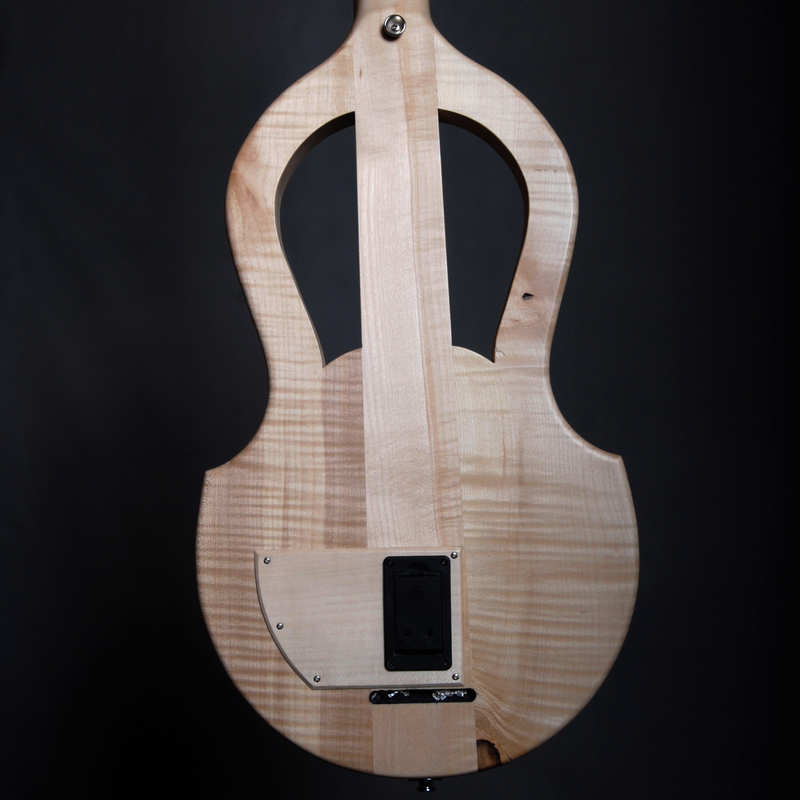 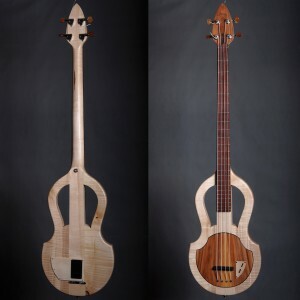 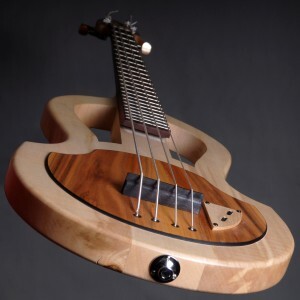 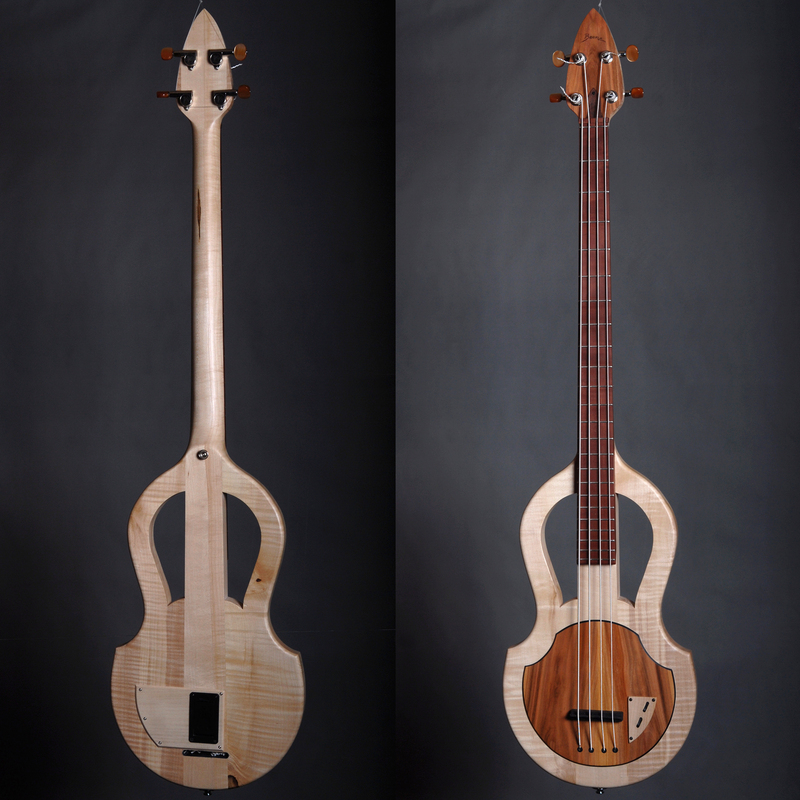 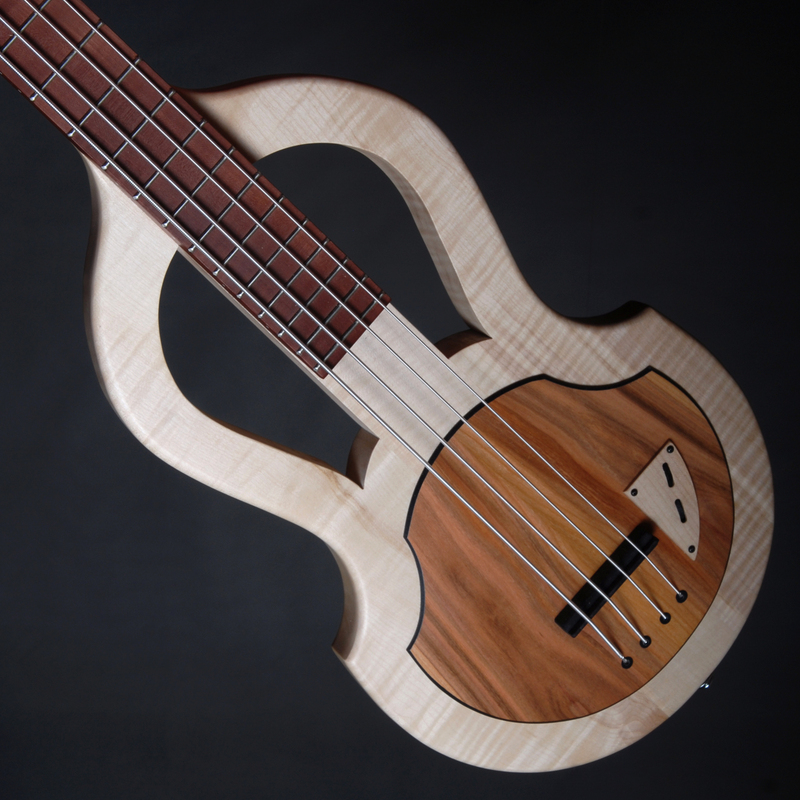 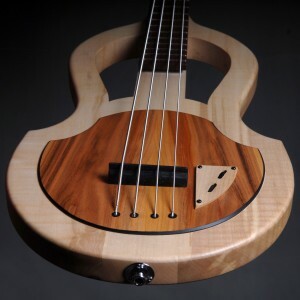 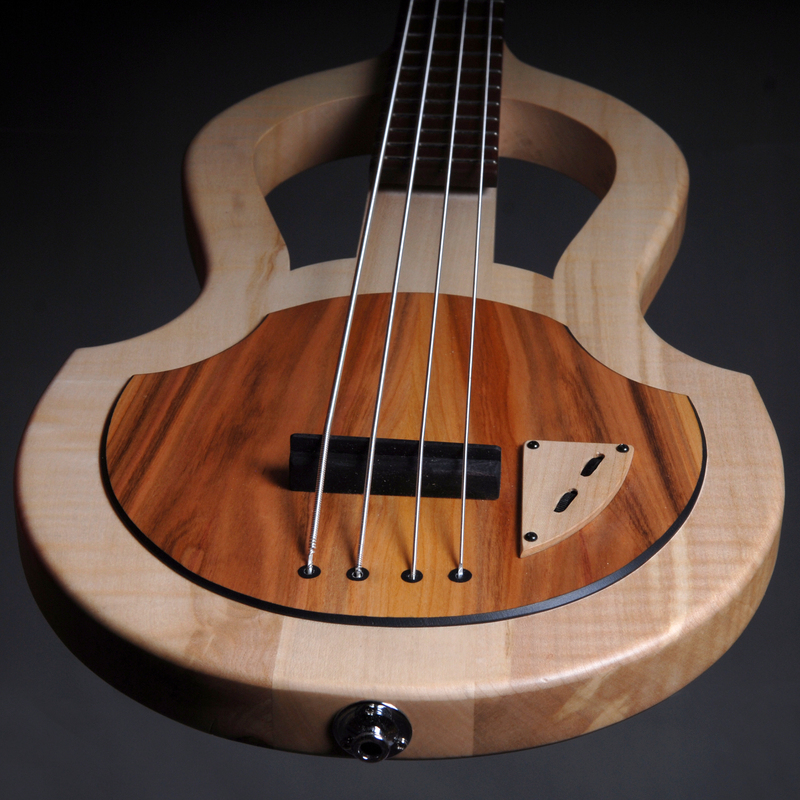 Electro acoustic bass guitar with nylon strings. The body and the bolt-on neck are made of curly maple, the soundboard is made of apricot tree, the neck is adjustable, the 23-frets fingerboard is made of chequer-tree. 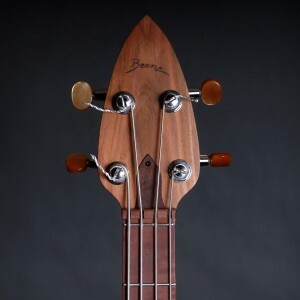 There is an active Piezo mic (volume and tone settings), and die cast tuning machines.